From 20-29 April 2019 a group of people committed to helping sick kids one muddy step at a time will take a walk. It’s a walk that will test them physically, mentally and emotionally – and one that will change them and their world forever. 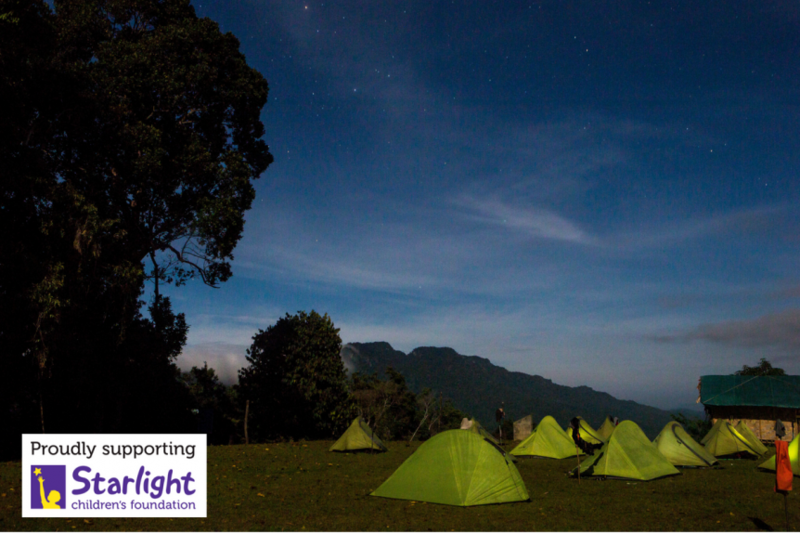 The driving force behind this Starlight Children’s Foundation (Starlight) Kokoda fundraiser is trekker Colin Johnsen and his family who are calling for trekkers to support the cause and join the fundraising trek team. Medical treatment is only part of the picture when it comes to the wellbeing of a seriously ill child. While health professionals focus on treating illness, Captain Starlight captures a child’s imagination and turns their pain, fear and stress into joy, fun and laughter. Captain Starlights are professional performers who use their skills in comedy, acting, music and art to entertain seriously ill children. Available in every children’s hospital in the country, Starlight’s Captain Starlight service provides an immediate benefit – by allowing a child to laugh and be distracted from their illness. Captain Starlight and the Starlight Express Rooms were developed to complement the Australian healthcare system in partnership with leading health professionals. This charity challenge is a uniquely Australian trek supporting sick kids when they need it most. What better reason to take a walk this August?